Seventeen New Zealanders are showcasing the benefits of a plant-based lifestyle through a recent poster series that has reached tens of thousands. Hannah O’Malley of The Better Base explains more. New Zealand is paving the way towards a healthier and more sustainable future with more people than ever embracing a plant-based lifestyle. Why might this be…. and should you give it a shot? 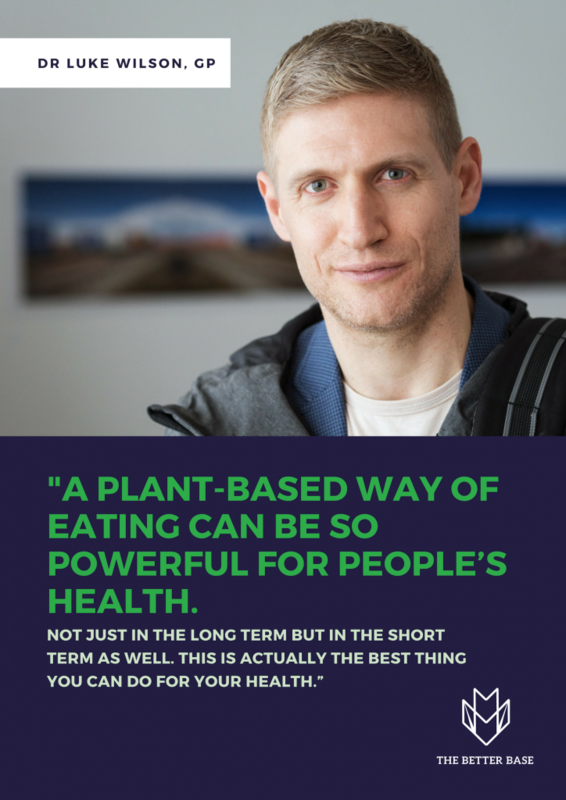 GP Dr Luke Wilson, accredited with the International Board of Lifestyle Medicine, states “A plant-based way of eating can be so powerful for people’s health. Not just in the long term but in the short term as well. This is actually the best thing that you can do for your health”. The posters leave no doubt that we can be fit and strong while eating plants, with action shots of an ultra-marathon winner, triathlon coach and fitness models. “I noticed a massive improvement in recovery, strength and mental focus. Animals get their protein from plants. Skip the middleman and go straight to the source”, says DC Cordtz, winner of NZ Fitness Model 2017. It’s obvious that satisfaction with food is no barrier, with previous NZ MasterChef Winner Aaron Brunet loving the huge range of flavours to cook with in the plant kingdom. “As we start to eat healthier foods, our taste buds change too. Don’t give yourself a hard time if you’re not quaking in ecstacy at the thought of a salad, but it will come!”. However the outlook is bright and citizens are more aware than ever of sustainable habits, as described in the 2017 Better Futures report. (5) 27% of respondents stated that they either sometimes or always maintain a plant-based diet (no meat or fish) or vegan diet (no animal products). The Better Base, a platform designed to help people eat more plants, created the posters to engage almost 10,000 attendees who attended the Go Green Sustainability Expo held in Wellington. To learn more about the benefits of plant-based lifestyles and access Ridiculously Good Recipes, check out www.thebetterbase.com.